For our 8th anniversary (and first in New Mexico) we wanted to go ballooning. 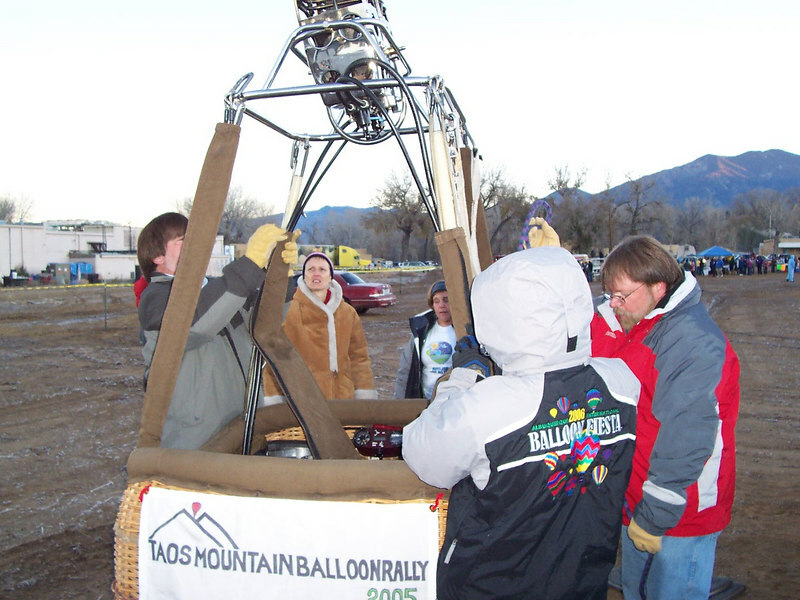 A small balloon rally (compared to the big one in Albuquerque) occurs in Taos at the end of October and we had a chance to ride. It was pretty neat to be part of a mass ascension for our first flight. Here Caroline helps with setting up the balloon at 7am.